We live in an ever-growing digital world. While it’s true that our smartphones and countless apps can house almost everything we need on a daily basis, it doesn’t mean we should totally ditch paper—especially when it comes to productivity. The good old-fashioned paper planner remains the secret ingredient to many successful and efficient professionals. Unlike your smartphone where you jump from app to app, a planner houses everything you need between its jacket. Whether you use a planner to organize your personal or professional life, you’re sure to notice the benefits it provides. 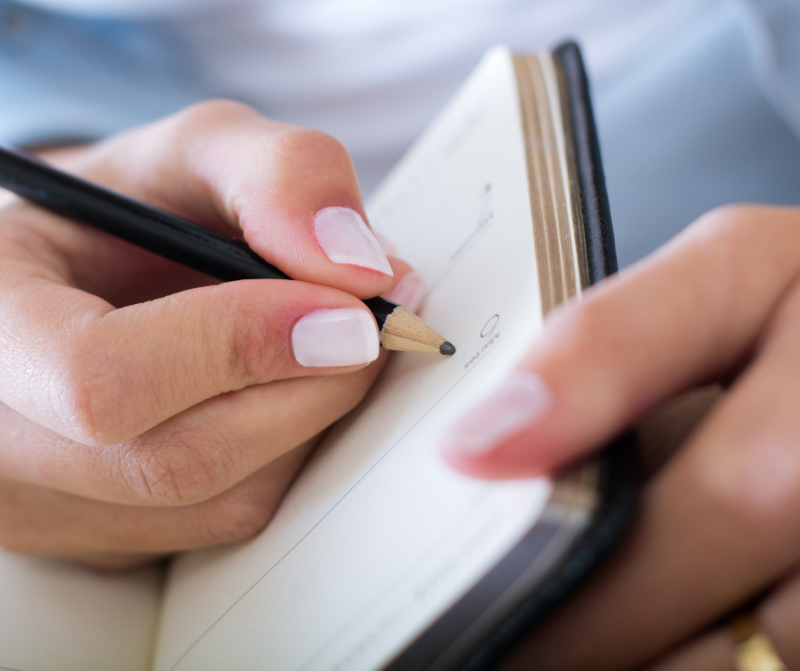 In fact, research has shown that the act of physically writing something down helps you better retain the information. Planners are also a great way to detach from the distracting ‘always-on’ atmosphere of living in a digital world while remaining productive. Providing your staff with a planner is a fantastic way to usher in some Zen-like mindfulness without halting efficiency. In fact, a study in India showed that when employees spent a mere 15 minutes at the end of the workday logging their day—what went well, where issues cropped up, goals they may have for the next few days—they were more productive than employees who didn’t use a planner. Keep in mind that if you’re going to gift planners to your staff, make sure you also spend some time teaching how to use them. Initially, those unfamiliar with paper planners may become frustrated or feel like it’s an extra chore in their workday—not realizing the benefits they can ultimately provide when used correctly. Not sure where to start? Check out our helpful tips below! When investing in paper planners for your staff, we bet it’s important to you that they use them, instead of collecting dust in an office drawer. For this, we can’t stress enough that you choose one with the ease of portability—especially if some of your staff is often on-the-go. Even if your staff is in-office all day, they still likely need to attend and document meetings during the week. Make sure the planner isn’t left behind by purchasing one that’s small and convenient enough to carry around without feeling burdensome. You might even opt for one that fits in a pocket! Again, if you’re purchasing across departments, you need something that is flexible. The best way to do this is to choose an option with customizable features so that employees feel it’s relevant to their specific role and daily tasks. This will allow them to tailor the planner to their needs, increasing the likelihood that they’ll embrace it. Blank spaces in a planner create any opportunity for individuals to add what they want. We already mentioned the idea of having employees draft daily or weekly positives and negatives (a great way to reaffirm value, boost confidence, and provide opportunities for growth), which is perfect to do across blank pages. They’re also helpful for those that prefer sketching diagrams, charts, or designs. Life gets busy, which can sometimes be a drain on energy and productivity. Choosing a journal with interesting or inspirational quotes (or spaces for individuals to add them in) is a great way to provide daily affirmations and boost egos. Ultimately, we all want happy staff, and a daily inspirational quote can be a quick source of positivity. Planners are the most beneficial when they’re part of your daily routine. Plus, the more you use them, the more helpful they become. Just like you might start your workday off with a cup of coffee, reviewing and updating your planner will help center your day. This reminds you of what’s coming up later in the week and helps fit everything in on a month-long view. They’re also a great way to re-focus and give yourself (and your eyes) a computer break. Color coding your planner is a great way to quickly capture and organize what is going on in an instant. For example, you might use blue to indicate meetings, green for deadlines, and red for personal appointments. As noted previously, planners are great because they house everything you need to do or be reminded of in a single space. Another benefit is that you might find areas where you are over- or under-spending time and energy. Maybe you’ve got a calendar full of to-dos for everyone else, but nothing concerning time for yourself. Or, professionally, you’ve got a ton of meetings and reminders for one project but are accidentally ignoring another in the meantime. By looking for gaps or holes in your day, month, or plan, you’ll have the opportunity to gain better balance in your schedule. Organizing your calendar is a dream with a paper planner, but it’s equally useful to use the notes section too. This is a great place to reflect on how everything in your calendar is working out, and where there might be room for improvements. The note section can also be a great space to record quick and important observations to explore later. Your planner may not be able to give you 15-minute meeting reminders the way Outlook can, but they are great to combine with online organization tool. In the modern office, there can be very few opportunities to sit with paper to plan, organize, and reflect. Embrace the planner for not only that, but its lack of a glaring screen! 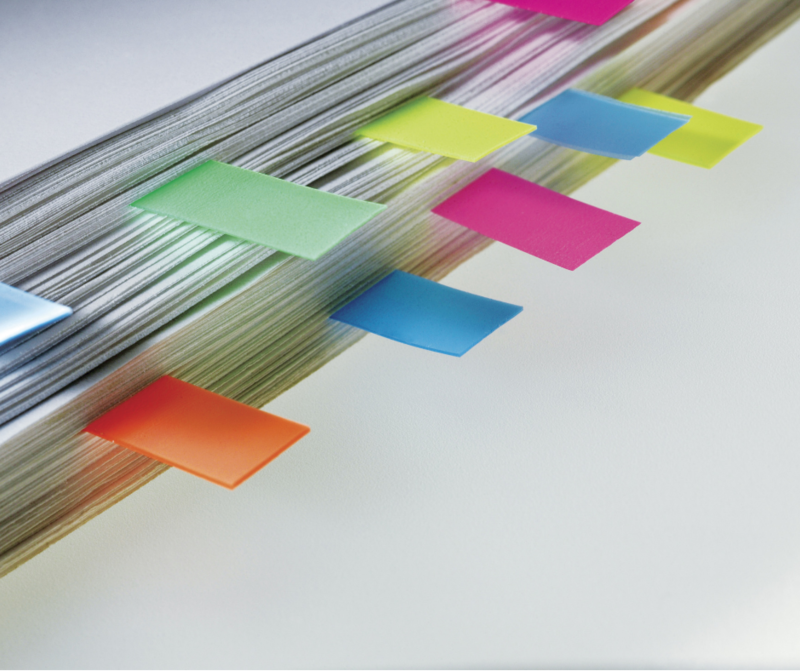 We hope these tips have given you some insight into how beneficial a paper planner can be for productivity, as well as how you might choose the best one for your staff—and be sure to share our tips with them once they’re in-hand!